It is a school with a difference! 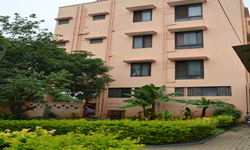 To provide the highest standard of education and assist in the overall development of the child. To be a voice to create general awareness so that these children could be integrated in the society. To give children Vocational Training so that they could earn a means of living when they grow up. To cater to each child’s need as much as possible, knowing that every child is made in the image of God. To counsel and train parents of special needs children. ….Implanted in her heart was a desire to make – every child, no matter how challenged, a responsible member of society, by developing their individual skills and abilities. After the completion of her Post Graduation in Special Education with the British Open University, UK. 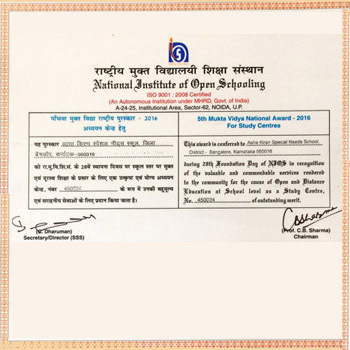 Dr. Rita James returned to India with renewed verve to do her bit in making a difference in the world of those with special needs – Asha Kiran was conceived and in December 1993, it was registered as a Charitable Trust. 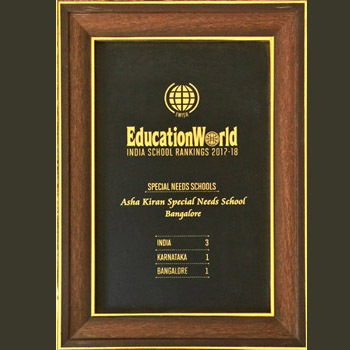 Asha Kiran Special Needs School, is an accredited institution of National Open Schooling. It caters to students from Pre-School right up to 12th grade. 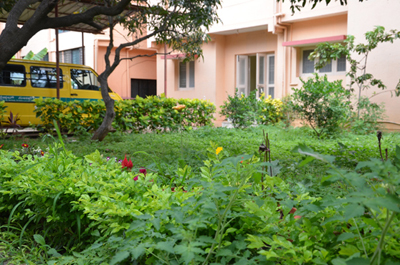 It also has a Vocational Training Centre for students who are unable to pursue academics. The focus being, training students in independent living. The student teacher ratio is 1:8 in order to ensure individual attention. Each class has a mix of students with different abilities, which has enabled them to be sensitive to the needs of each other and to be helpful too. The main focus is on teaching skills and concepts rather than finishing the textbook or passing an exam. The staff are a dedicated team, with a calling to work with special children. 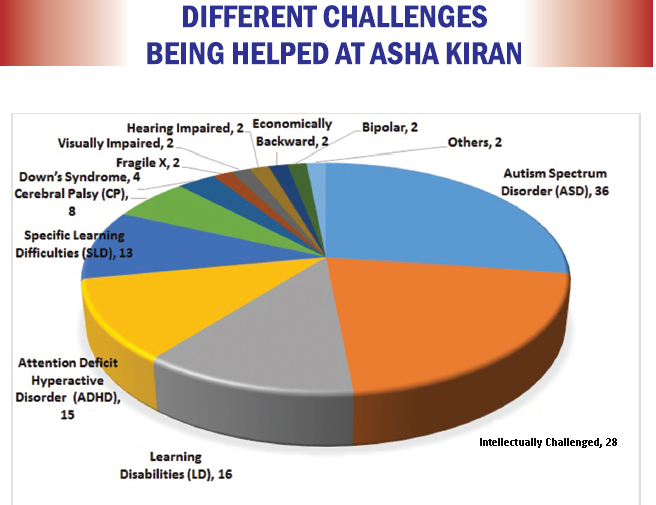 Over the years Asha Kiran has endeavoured to live up to its name of being a ray of hope to many…providing Help, Opportunity, Progress and Enrichment. It has catered to all categories of children with special needs as well as children from lower income groups No distinction has been made between children on the basis of color, caste or religion. 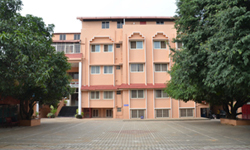 It is one of the few schools which promotes inclusive system of education having children with different special needs under one roof. Asha Kiran’s main objective is to prepare each child to be a dignified and useful member of society. 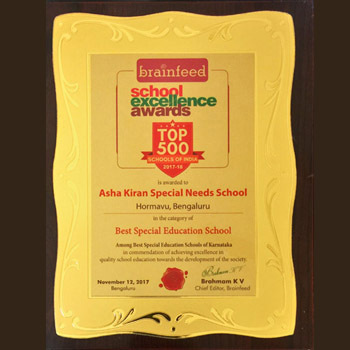 Asha Kiran is the one school in Bangalore which promotes Inclusive education, embracing children with different challenges under one roof. The Teacher/Student Ratio is small [1:8] allowing for personal attention. The total development of the child is crucial and requires our undivided attention to detail specific to each child. Parents, especially mothers, are involved as a part of the training process. Located in a quiet and scenic area surrounded by mango trees and fresh air,constructed school building stands as a testimony of God's unfailing love and His unwavering faithfulness. Asha Kiran has been ranked No. 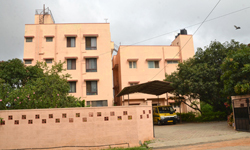 1 in Bengaluru, No. 1 in Karnataka for past four consecutive years. Also, awarded as best Study Center for Special Needs Students by National Institute of Open Schooling for the year 2016.